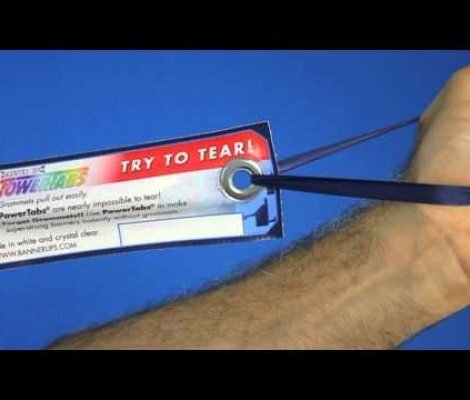 Banner Ups, PowerTabs and PowerTape offers your shop a simple, inexpensive alternative to eyelets in fabricating super strong banners of any length, instantly. TexTape is a new tape that sticks to textiles. Create clean beautiful hems on your textile banners without sewing. Banner Ups® products allow you to create super strong banners instantly at a fraction of the time and cost of eyeletting. Banner Ups®, PowerTabs®, and EdgeTabs® banner hangers are stronger than banner eyelets because they spread the stress of high winds over a much larger area. Banners made with Banner Ups® banner hangers withstood sustained wind tunnel tests of 50-70 miles per hour! Banner Ups aren’t just for banners! 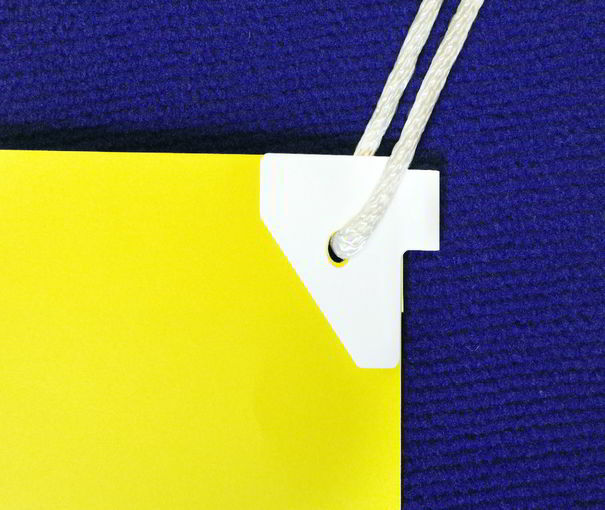 Use banner hangers any time you need a fastener for plastic film, posters or lightweight board. Banner fixing has never been easier with Banner Ups® eyelet alternatives! Just choose a style of adhesive eyelets that works best for your application. Large, small, indoor, or outdoor it’s doesn’t matter; we have the right banner hanger for the job. 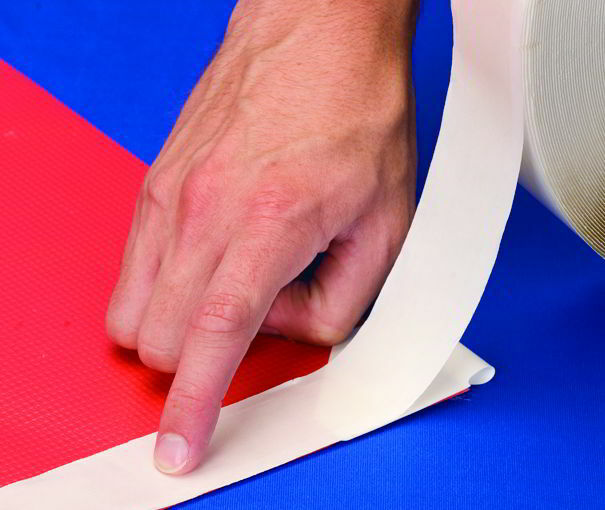 Add our super strong banner tape such as BravoTape, MegaTape, or TigerTape for ultimate banner hanging strength. Click here for the Product Selector to easily find what works best for your job.